The members and friends of Adeste Fideles Lodge No 7425 met at Woolton Golf Club for a very proud meeting. 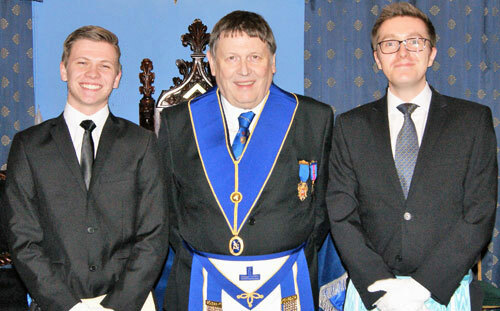 A fifth generation of the family ‘Sandford’ was to be initiated into the lodge by WM Geoff Roberts, ably assisted by his officers. Members of the Sandford dynasty, from left to right, are: Brett Reddin, Gordon Sandford and Harry Smith. Gordon Sandford, who has held the position of Provincial Grand Sword Bearer, was on this occasion a very proud grandfather. Gordon’s grandfather Edward Park Sandford was master of the lodge in 1957 and his father Allen Park Sandford was master in 1962 and were both founder members of the lodge. They are sadly no longer with us, but little did they know at the time that they would be followed by three more generations of the family. Gordon himself attained the chair in 2012 and 2013 and on this occasion Gordon’s grandson Brett Reddin was to join the lodge. The other member of the family is Gordon’s nephew Harry Smith who is the son of Gordon’s sister. 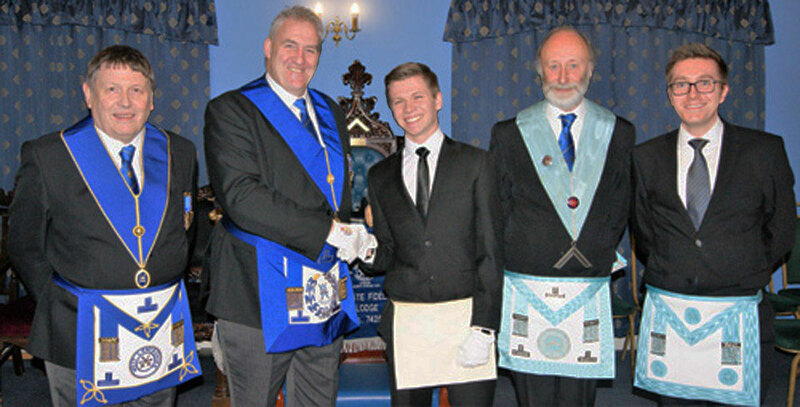 The ceremony of initiation having been completed one final act remained, that of the Woolton Group Chairman Andy Whittle delivering the lecture of the gloves and presenting them to Brett. Pictured from left to right, are: Gordon Sandford, Andy Whittle, Brett Reddin, Geoff Roberts and Harry Smith.